Provide more languages to expand your audience. In this tutorial we're going to take you through the process of making your app accessible and user friendly for people around the world. Only about 20 per cent of the world speaks English, so providing other language options can improve your user experience and greatly increase your app's reach. We're going to take a look at Angular's built-in internationalisation tools and show you how to correctly use them. We've created a very simple demo app to demonstrate the process. Clone it from here and then follow the installation instructions. Start the app to familiarise yourself with it. It just displays and updates random numbers and values with different contexts, e.g. currencies, dates etc. We'll cover some of the pipes and features used during the tutorial. There are two words that are often used interchangeably when talking about translating an app – internationalisation and localisation – however, they actually mean slightly different things. Internationalisation refers to the process of preparing your app for supporting different languages. In contrast, localisation refers to the process of actually translating your app into your required languages. Essentially internationalisation is something you do once per app, and localisation happens once per locale – at least that's the plan. These terms might also be familiar in their shortened versions: i18n (where 18 is the number of letters between the first 'i' and the last 'n' of internationalisation) and l10n (where 10 is the number of letters between the 'i' and the 'n' of localisation). There are over 6,000 languages used around the world today, most of which are only used by very small groups of people. Yet even if we only focus on the top three languages – Mandarin, Spanish and English – there will be significant differences in date formatting, grammatical structure, pluralisation and number formatting. If we include the fifth most widely used language – Arabic – we encounter another difference; Arabic is a right-to-left (RTL) script which means the UI will also have to be mirrored. So during localisation we have to consider grammar, layout and formatting differences, and of course, we also have to change the text itself. Angular can help with much of this but you'll still need to manually translate the text. We will need to localise for each locale we need to support. A locale refers to the general set of preferences for the considerations mentioned above that tend to be shared within a region of the world, typically a country. Each locale is represented by a Unicode locale identifier, which specifies the language code and the locale extension. Angular's default locale is 'en-US', which is the language code 'en' (English) as spoken in the region 'US' (United States of America). An app localised for 'en-US' will be subtly different from an app localised for 'en-GB' which is English as spoken in Great Britain. For example, in the US dates are (bafflingly) formatted mm/dd/yyyy, whereas here in the UK we use the more sensible dd/mm/yyyy approach. This minor difference can result in a major error in comprehension. To make things interesting let's localise our demo app for Arabic as spoken in Iraq, aka 'ar-IQ' and English as spoken in the UK, aka 'en-GB'. We'll use English as the default this time. Our demo project was created using Angular CLI, which includes some useful tooling. We're going to use the Ahead-of-Time (AOT) compiler for this project so we need to make some changes to the CLI's configuration file: 'angular.json'. If you want to use Just-in-Time (JIT) you need to configure things slightly differently. With an AOT build you get a small, faster rendering ready-to-go application which loads without the need for asynchronous requests to fetch things like templates and stylesheets. As a result you must create a build for each locale and serve the appropriate build using the URL or some kind of server-side language detection logic. The simplest approach is to create a directory for each locale, e.g. www.example.com/en-GB and www.example.com/ar-IQ. The trade off is that you can't switch language on-the-fly, but in reality that is unlikely to be something required by real users. This configuration tells Angular where to output the compiled build and which translations file and format to use. It also sets the locale and tells Angular which directory the app will be deployed to. Angular supports a number of locales. Make sure you use the correct value for the 'i18nLocale' property. You can see the complete list here. Behind the scenes the above configurations simply load and read from one of these locale preference files. Here we are referring the build configuration options using the 'browserTarget' property, and we're also setting the 'servePath'. Before we can either serve or build the Arabic app we need to create the translations file referenced in the 'i18nFile' property above. Angular CLI includes a tool for extracting flagged text into an industry-standard translation source file. We'll cover these files in more detail later on in the tutorial but for now we just need to export the basic, empty file to allow us to compile. This should create a file in a src/locale directory. From now on we'll always output the file named 'messages.xlf' and manually copy it over the version with the locale ID in the name. The reason for this is to prevent the extraction tool from overwriting any existing translations we've added to the file. As you'd expect there are more obvious differences in this version, in particular the date is now written in Arabic. Angular can do this because the names of some things, such as months and days, are from a set list and ultimately they relate to a known number. Everything else, however, is still in English. Take a closer look at the source code of 'app.component.html' and you'll see that we use a number of different pipes. The following Angular pipes are locale-aware, meaning that they adapt their output based on the current locale: 'DatePipe', 'CurrencyPipe', 'DecimalPipe' and 'PercentPipe'. But we now know that we get the m/d/yy format because Angular uses the 'en-US' locale by default. So instead of hardcoding the format we should use the ''shortDate'' option and localise our app to use 'en-GB'. It takes a tiny bit more effort but then we can add locales to our heart's content and always have a user-friendly date format. Unfortunately it doesn't seem that there is an easy, built-in way to override a predefined format. For example you can't just decide that you'd prefer the ''shortDate'' format to be dd/mm/yyyy instead of dd/mm/y as there is no way to modify the format at runtime. Also you can't add your own predefined options. For these edge cases you could create a custom date pipe which wraps the Angular 'DatePipe' and handles any custom formats per-locale. Anything it doesn't recognise would be passed on to the built-in 'DatePipe'. Off the shelf the 'CurrencyPipe' will format a number as US Dollars, trim to two decimal places and add groupings as defined in the locale's preferences. You'll notice that in both our locales the currency is always in US Dollars. It doesn't magically switch to Sterling (GBP) when you use the 'en-GB' locale. The reason for this is that £10 is not the same as $10, so you must explicitly specify the currency your number refers to. Let's update 'app.component.html' to use GBP throughout. When specifying the currency code you must use the correct value from the ISO 4217 standard (list available online). And you'll start seeing the £ symbol instead of US$. Remember, it doesn't do anything clever like automatically convert USD to the equivalent value in GBP if you change the currency – it just changes the symbol it uses. Angular helps us with steps 2 and 4, but as developers we need do step 1 manually. Step 3 would typically be completed by a translation professional or agency, using special software to read and update the translation file. To achieve this we have to add a special attribute to every element that contains fixed text to be translated. To be clear if the content arrives from an API then that isn't fixed text and you'd need to localise that in the API. You only need to add the attribute when the text is written directly in the HTML template in your source code. A key point here is that you should try to keep your TypeScript files locale-agnostic – in other words, avoid putting any text that needs to be translated in the component logic and keep it all in the templates. Otherwise the extraction tool won't be able to extract it. It's good practice anyway to separate your concerns – in life and in code. Let's open up 'app.component.html' and start with the 'Current value' title. Simply add the 'i18n' attribute to the element that directly contains the text. It's important to understand that this is just a 'dumb' custom attribute. It isn't an Angular directive that triggers anything at runtime, in fact ,the compiler removes it after translation. Great, that means the tool picked up the 'i18n' attribute. That long ID is generated by the tool and will stay the same unless the text changes. If you have multiple instances of exactly the same text they will all get the same ID. Don't edit this ID! That should give the translator enough context to provide an accurate translation. Regenerate the translation file and you should see these values have been output. It's worth noting that if you don't use a custom ID the generated ID takes the meaning and the text into account. So the same text, but with a different meaning, will get a different ID. The description, however, has no impact on the ID. Let's move on to the intro section. The first paragraph contains text and a variable which will be interpolated at runtime. How do we handle this? See how the variable interpolation has been detailed in the output. The nice thing about this is it allows the translator to modify the grammatical structure of the sentence if necessary, without breaking the binding. For example, there may be a language where the sentence would be best written: X value was yesterday's closing, ie with the variable at the start. Moving on to the next paragraph you'll see some intimidating syntax. This is called ICU Message Format and it allows you to specify different chunks of text based on the value of a variable. It doesn't appear to be documented but you can also use the 'AsyncPipe' inside the pluralisation syntax to work with Observables. In that example 'one' and 'other' are pluralisation categories. There are a number of categories to choose from, but beware! Not all locales support all the categories, and Angular doesn't tell you if you try to use a category that isn't supported by the current locale. It is easy to end up thinking that you've done something wrong because the 'two' category isn't working in your 'en-GB' locale and instead you are seeing the 'other' text. Inexplicably 'en' (and many other common languages) only support 'one' and 'other', even though 'zero' and 'two' are explicit values. Check out this file to see what's actually supported. Run the extraction tool again to see how this looks. You'll see that this is output slightly differently. It will create two translation units; one for the ICU expression itself and one which interpolates that expression into the original string. If you want to display different text depending on the value of a variable you can use a 'select' ICU expression which is very similar to the 'plural' syntax demonstrated above. In our demo app we monitor the change applied to the value and create an Observable stream called 'trend$' which outputs 'up', 'down' or 'stable' depending on whether the change is positive, negative or zero. Regenerate the translations file and you'll see the approach is similar to the plural output, with two translation units created. ICU expressions are pretty handy once you get used to them, plus you can nest them to create more complex outputs. Now we've marked up all the text that needs translating we can generate the translation file one last time. Once it is created rename it to 'messages.ar-IQ.xlf' and replace the previous incarnation. This is the file we'd be sending to the translation professional, but for the purposes of this tutorial, Google Translate will be standing in! Open up the XLF file and duplicate every '<source>' element, renaming it '<target>'. Unfortunately it can be quite untidy so it might help to beautify the contents. Hopefully you won't have any errors and you'll be able to see the app in the browser. We've not added any actual Arabic yet so it won't look much different. Use a number when you translate so you can see where the interpolation should be. Notice that when you see the translated result in Google Translate it will appear reversed – ie the number at the start – but when you copy and paste it into the translation file it will return to the original order. This is happening because Arabic is an RTL language so the script is (almost) entirely mirrored. Google Translate does this by adding a 'dir="rtl"' attribute to the containing element. We'll learn how to do this in the next step. The rest of the translations are available in the demo repo, 'tutorial' branch. We need to manage the script direction in our app because Angular won't do this automatically for us. There also doesn't appear to be any way to detect if the current locale is an LTR or RTL language, so we'll need to hardcode this. It'd be great if Angular offered a built-in directive for this. Next add a constructor and inject the 'LOCALE_ID'. Remember this is set by our configuration because we're using AOT. And finally add the following snippet to the existing 'ngOnInit' method. Here we are checking if the 'LOCALE_ID', ie 'ar-IQ', starts with 'ar' and if it does change the direction to 'rtl' instead. If you plan to support more locales then you'll probably need to refactor this to make it more scalable, however, as there are only about ten RTL languages in use today this approach shouldn't be too unwieldy. Start the Arabic app and you should now see that the UI is mirrored – the £ sign should be on the right. The final step is to generate and check our production builds. First, though, we need to make another quick modification to the 'angular.json' configuration. In 'architect.build.configurations' duplicate the existing production object and rename it '"production-ar-IQ"'. Then copy and paste the properties from the existing '"ar-IQ"' configuration into the object, so you have both the production options and the 'i18n' options. You also need to update 'architect.serve.configurations' too. This time duplicate the existing '"ar-IQ"' object and rename it '"production-ar-IQ"' and change the 'browserTarget' value to point to your new 'production-ar-IQ' configuration. Okay, we're done! We've successfully internationalised our app, and localised it for 'en-GB' and 'ar-IQ' audiences. 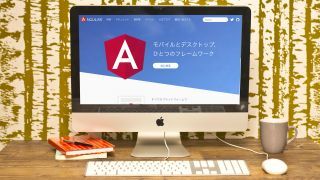 Angular makes the process remarkably straightforward for the developer, in fact, the hardest bit is figuring out what the translations should be – apologies to any Arabic speakers if anything is wrong! This article was originally published in issue 281 of creative web design magazine Web Designer. Buy issue 281 here or subscribe to Web Designer here.